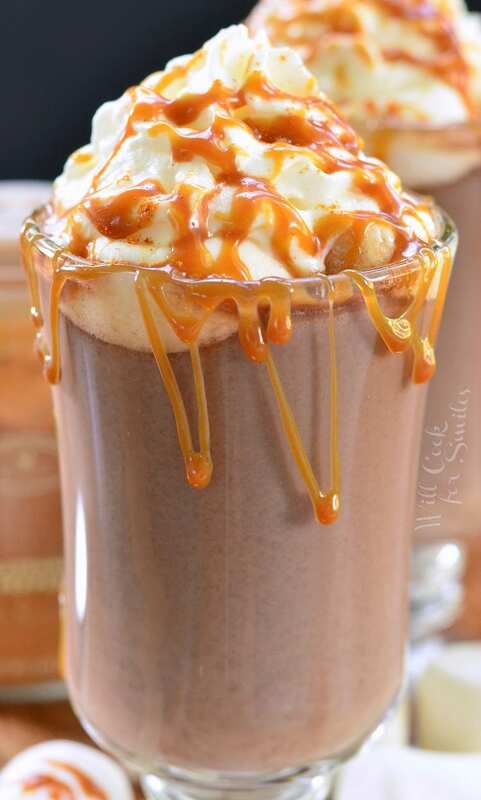 Nothing will warm you up better than a big mug of Caramel Spicy Hot Chocolate. 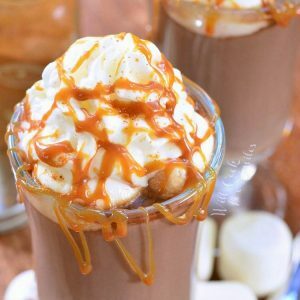 This hot cocoa is flavored with caramel and spiced with some cayenne pepper. We had a BEAUTIFUL weekend here and the week is promising to be just as beautiful. It feels great to have most of the day nice and cool. I love that time when we can finally open the windows and let the fresh, cool air in. I love that first time where you need a blanket at night. Ah, fall weather is just beautiful. 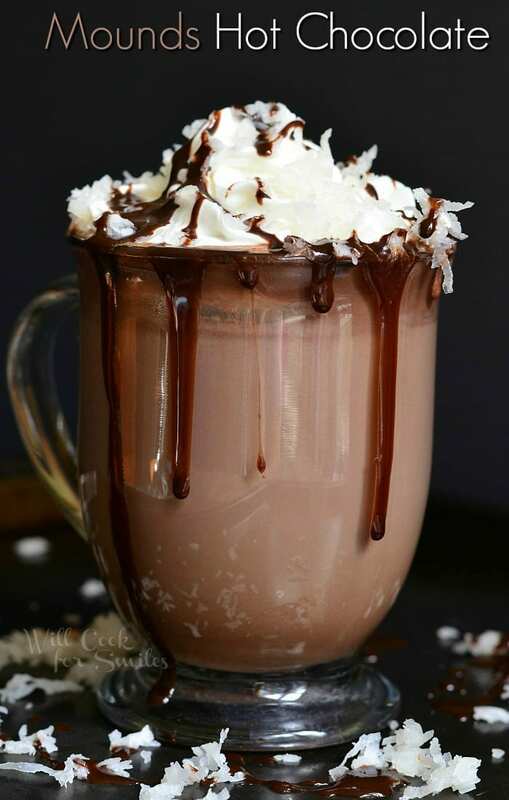 To celebrate the cooler weather, I decided to make the first hot chocolate of the season. I also wanted to experiment a little and give it a twist of spicy chocolate. I’m sure you’ve heard of Mexican chocolate, it’s a spiced chocolate that’s made with cinnamon and sometimes other spices. First time I’ve tried that chocolate in a bar, I wasn’t a big fan of the grainy texture. Second time I’ve tried it was actually in a cake and it was pretty awesome. The cake was also spiced with some chili powder for an extra kick and I thought it added something very special to the flavor. 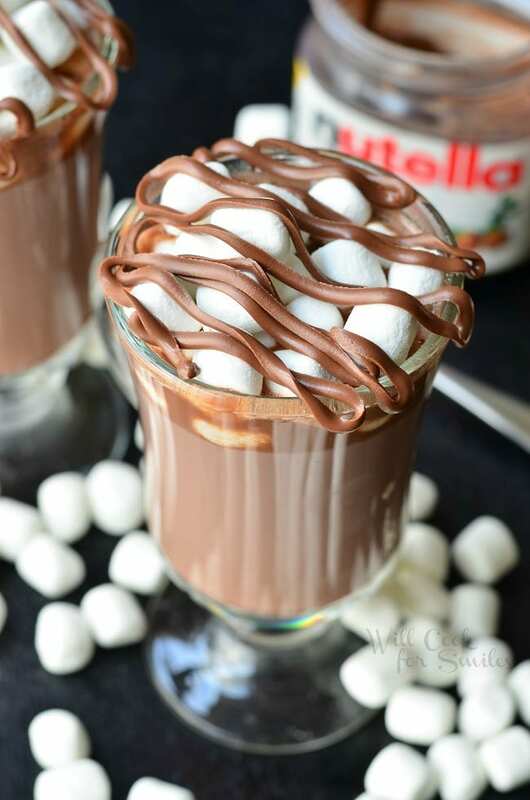 Since spicy and chocolate worked so well in the cake, I wanted to transfer it into this hot cocoa. 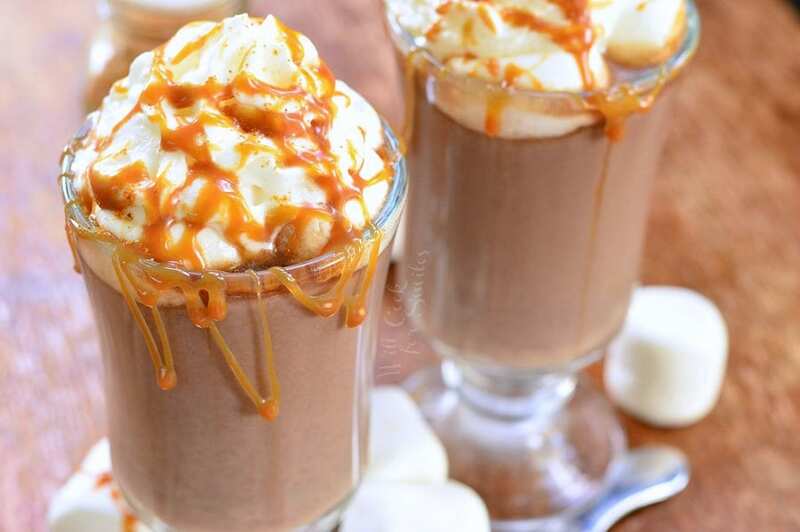 It worked very well and especially with the addition of creamy caramel. 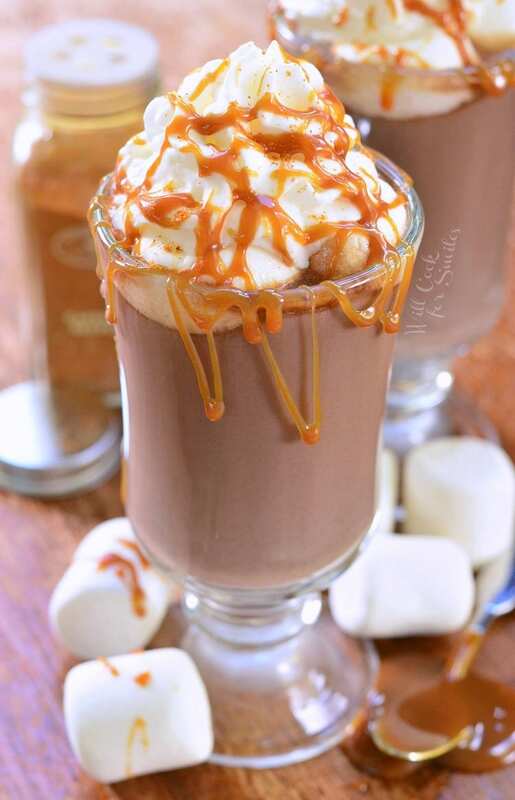 This hot cocoa will keep you nice and warm while tasting absolutely delicious. 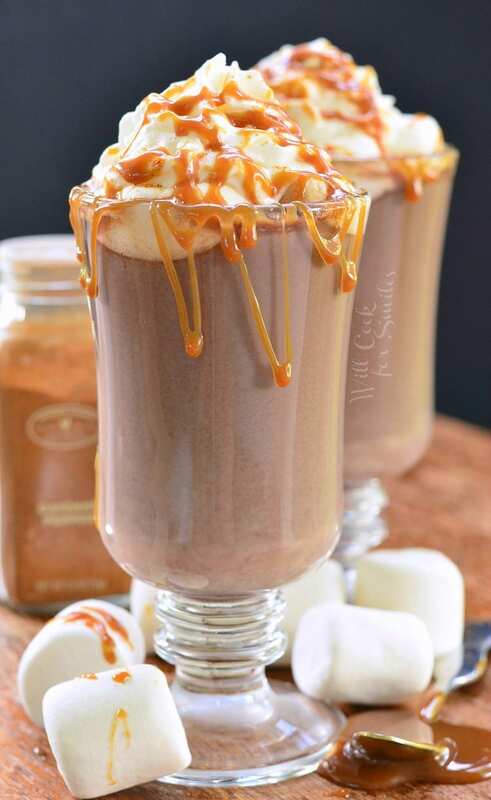 This hot cocoa is flavored with caramel and spiced with some cayenne pepper. Add milk to a sauce pot and heat it through over medium heat. 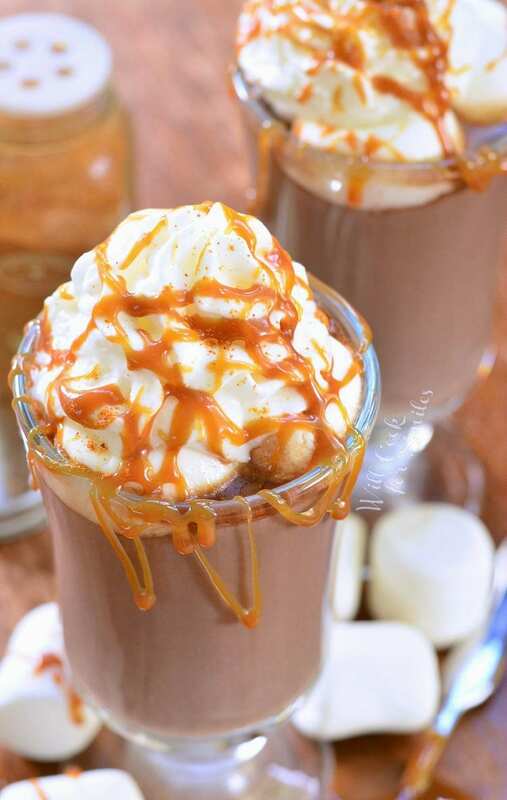 Once milk is hot, add baking chocolate and caramel topping. Stir slowly until melted and incorporated. Stir in cocoa powder and sugar. Add a pinch of cayenne pepper, stir and taste to see if there is enough heat for you. Add only add a little bit of cayenne at a time because it's very spicy and everyone handles the heat differently. 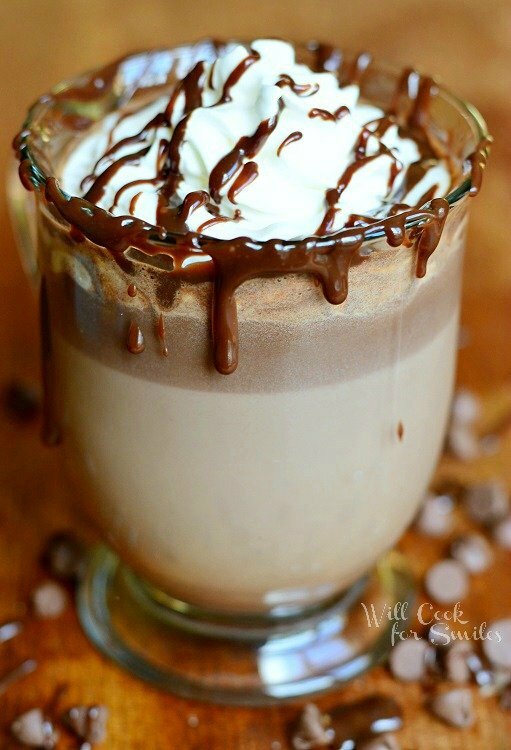 Stir and cook the hot chocolate mixture for a few minutes. Divide mixture among two cups and add desired toppings.